CTNext is a Connecticut innovation ecosystem which was launched in 2012 and has worked with over 2200 companies. They support the success of companies and entrepreneurs by providing guidance, resources, and networks to accelerate their growth. Also, there are a plethora of resources such as mentors, advisers, and tools to help drive your business to the next level. 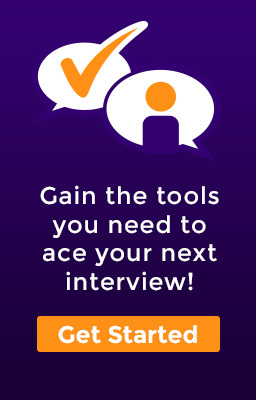 Not only this, but they also provide networking abilities and events such as the Entrepreneur Innovation Awards, which provide funding for innovative project ideas; the perfect outlet for AMI’s interview technology. 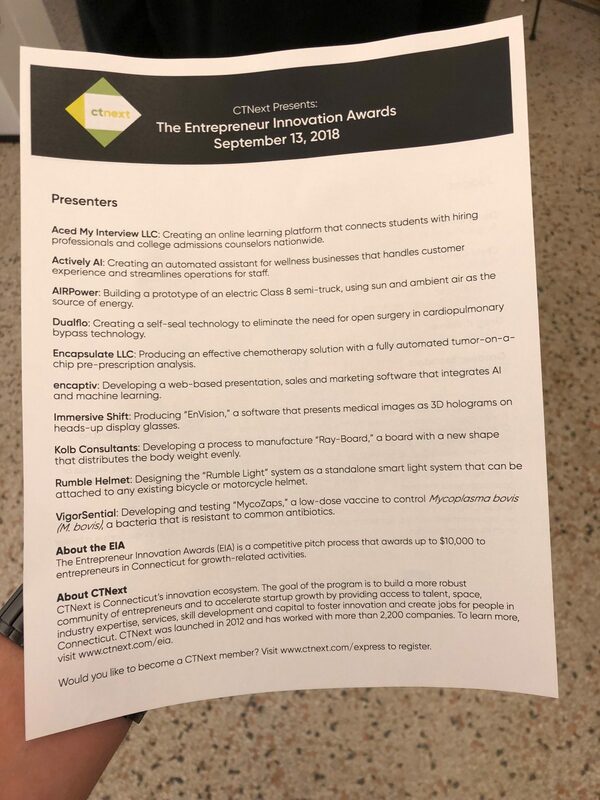 A few months ago, Aced My Interview was submitted to the Entrepreneur Innovation Awards, which eventually was chosen out of roughly 200 ideas to be represented in the finals. Over the weekend, the team traveled to downtown Stamford, CT to pitch their idea to nearly 500 businessmen and women. The event was very professionally put together and the catering was top notch. We funnel into the auditorium where we find out that AMI has the privilege of presenting first. Dan Thornberg (CEO) and Doug Unger (COO) took the stage hard and set the tone right off the bat. With enthusiasm and vigor, the duo breezed through the presentation and were able to address all of the panel of judge’s concerns with no problem at all. The rest of the 9 finalists took the stage and presented. These were ideas ranging from a new form of solar powered truck, all the way to a less invasive form of heart surgery, so we really had our work cut out for us. The judges deliberated for quite some time before finally opening up the voting to the crowd for everyone to pick their favorite. Every vote counted, so we were hoping we had done enough to captivate the audience. As the results came flooding in, AMI had the slight lead and we were feeling optimistic. However, due to a late push from another company, we ended up coming in 2nd place. Although we might not have technically “won,” we were still victorious in our own minds due to the publicity and notoriety we received from the awards. 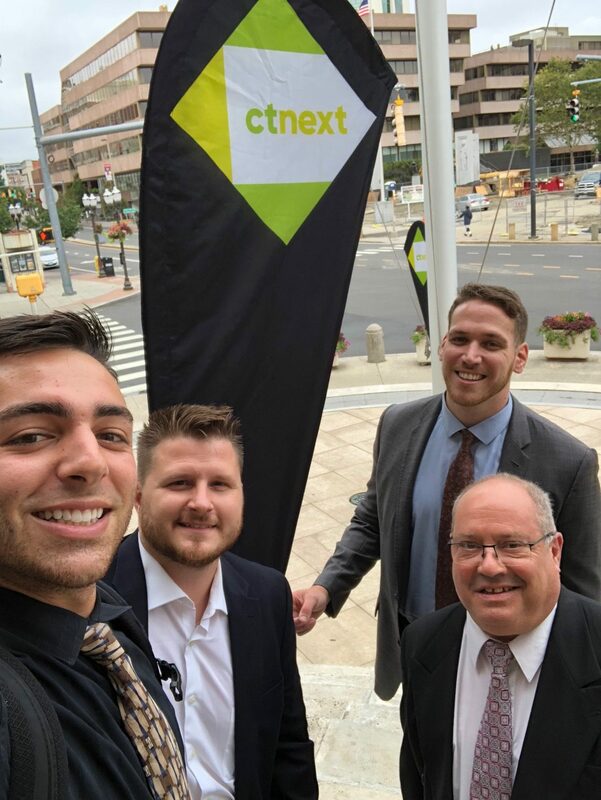 Aced My Interview would like to formally thank the folks at CTNext for allowing us to be a part of their presentations and for picking us to represent as a finalist. Not only was it a good learning experience for the team and what we need to focus on moving forward, it was also just good ole fashioned fun to get out there and present new ideas and network with like-minded people. And again, although we might not have technically won, we still walked out of there as winners!